Celebrating an anniversary is a group affair, a time when we can gather together around an event in order to nurture a shared memory. In this way, the memory, the awareness, and the gratitude that we practice individually now becomes collective. This is why the celebrations of the second anniversary of the parinirvana of Kunzig Shamar Rinpoche are important for all of us who are part of his sangha, wherever we may be. As we know, the departure of the manifestation of a highly realized bodhisattva like Shamarpa is a great loss for the world, for everyone. Gathering together to practice on the occasion of this anniversary is important for several reasons. H. H. 17th Karmapa Thaye Dorje said after Rinpoche’s passing, “The time of mourning has come.” Commemorating a departure allows each of us to integrate the loss, and to grieve in his or her own way. But this is not the heart of the matter. The most important aspect is to generate the conditions for Sharmapa’s return, because we need his physical manifestation, his “tulku” (body of manifestation). Of course his activity is continual; it is much more vast than the personage of Shamarpa that we knew and wish to meet again. Nevertheless, we also need this physical support. The much-awaited manifestation of the 15th Shamar Rinpoche is also the guarantor of the continuation of the Kagyü lineage, just as Karmapa is. This is their commitment as bodhisattvas for the benefit of beings: to preserve the heritage of Gampopa, the lineage of Mahamudra, preserve this jewel authentically in order to make it available to as many people as possible. For all of us, commemorating the departure of Shamarpa means generating the causes for his swift return. 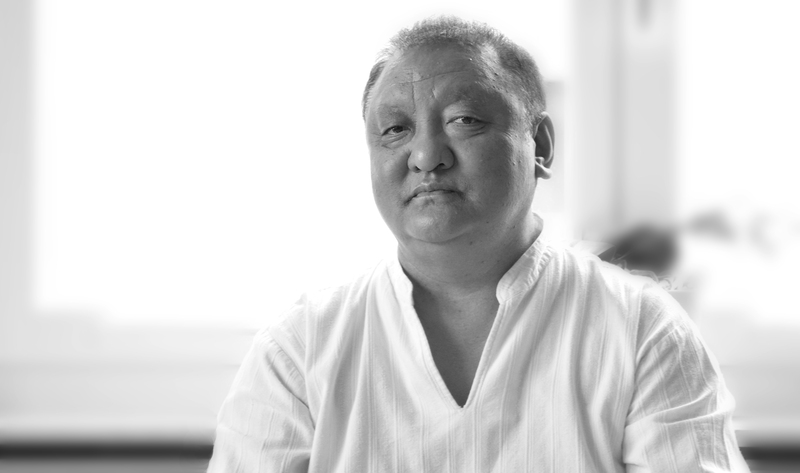 On the second anniversary of his parinirvana, June 11 (in the Western calendar), we invite Bodhi Path centers across the globe to collectively engage in a continual, 24-hour practice of Chenrezig and recitation of Rinpoche’s swift rebirth prayer. In addition to the blessing that these practices carry, they are also the source of great merit, what H. H. Karmapa calls ‘the life force of the mind.’ Furthermore, although it is very good to practice on one’s own, it is said that practicing together as a group exponentially multiplies the benefit accumulated. At the Bodhi Path centers, this day will be consecrated for practice from morning to evening, and also via an online community we created on Facebook. Each individual is welcome to offer the time that she/he can. Small streams make great rivers. This action will be beneficial for those who carry it out and, by the force of wishing prayers and dedication, for all beings. Obviously, not everyone is able to join these commemorations in person. But on this day, throughout the world wherever Buddhism is practiced, people inspired by the dharma and the Kagyü lineage will gather together to, in one way or another, assemble the causes and conditions for the return of this master teacher. One can, on this occasion, practice Chenrezig, accumulate the prayer for swift rebirth composed by H. H. Karmapa Thaye Dorje, or accomplish the ritual of Amitabha, of which Shamar Rinpoche is an emanation. Centers and individuals are encouraged to share their accumulations via our online FB community.